read for the next award show! The 2016 BMA’S will be held May 22nd, 2016 at the T-Mobile Arena in Las Vegas, Nevada. 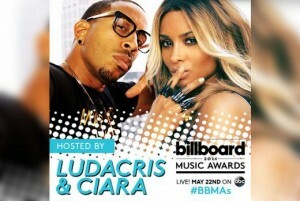 The show will be broadcast this year and will be hosted by none other than Ludacris and Ciara. New Artist “The Weeknd” is one of the leading artists with 9 nominations. along with Adele and Taylor Swift. Which of your favorites are in the nomination list? Anyone you would have liked to see more get some credit for their awesome music? Check out the complete list below to see all of the potential winners!